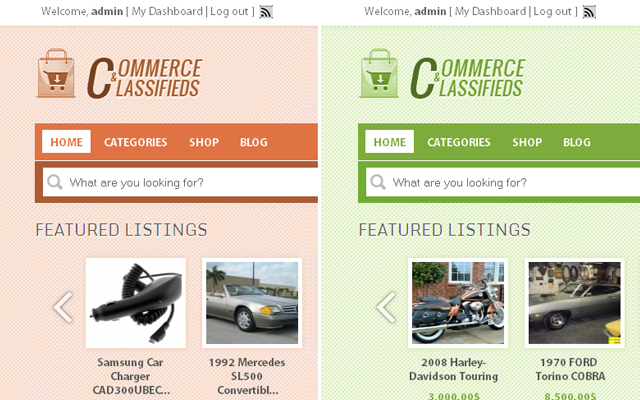 Commerce & Classifieds is a responsive child theme for ClassiPress and WooCommerce. It comes with an essence of five different colored skins. 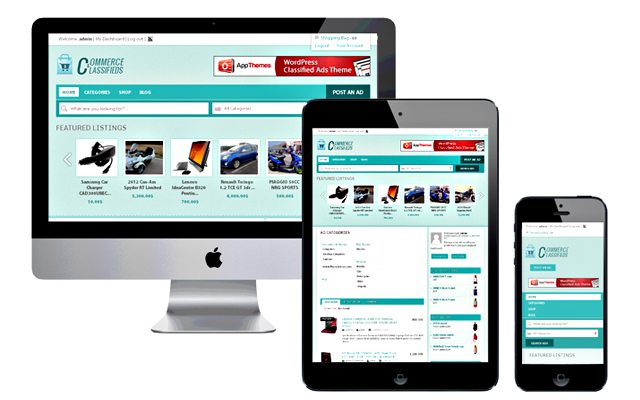 This child theme benefits you to trend a responsive ClassiPress and WooCommerce sites that displays so beautifully on all devices like Smartphones, tablets and desktop monitors which adjust resolution respectively for each device. With just one installation of this theme, your ClassiPress and WooCommerce sites will adjust layouts automatically without having to change resolutions. We have kept Commerce & Classifieds name as we have come up with a unite of Responsive Child Theme, this would talk very efficiently and without difficulty with WooCommerce & ClassiPress. It also shower with clean & clear instinct form by thinning graphics and this would help the page to loads promptly, here we will see its actual attitude that stands apart from websites which have real weighty content. Tidy & sparkling, light layout with five color skins. Custom design option for font style, font color, etc. Sold ad tag on ad listing and single pages. 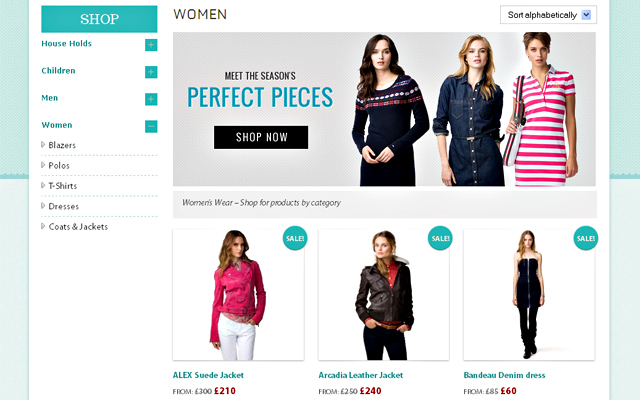 Note: – We have not done any modification / customization in WooCommerce plugin in any manner. 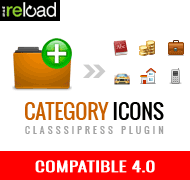 We have only customized the GUI for ClassiPress and only made it compatible with WooCommerce plugin. There, we cannot provide support in Technical manner for WooCommerce plugin. However, we will always assist you in providing support related to our product. Is this child theme compatible with any other 3rd party similar to WooCommerce Plugin? Yes. 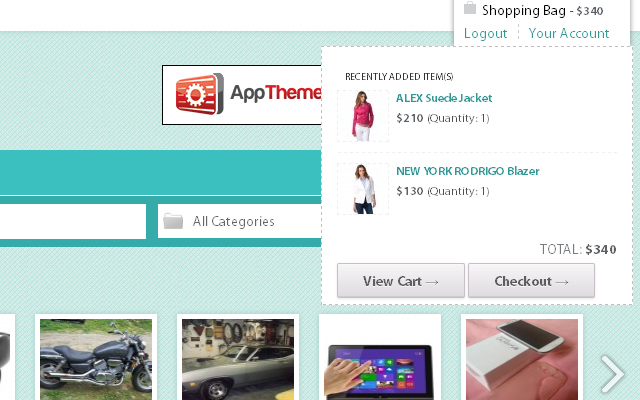 This child theme is compatible with WooCommerce Plugin. Is it possible to translate this child theme in any other languages? Yes. You can translate ClassiSky in your language using ClassiPress Translate Tutorial by Appthemes. 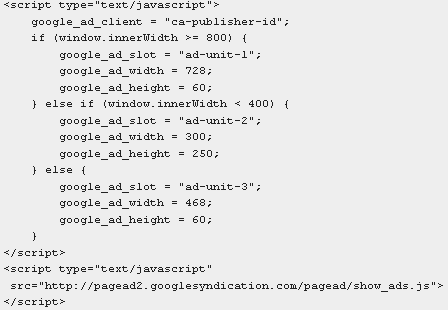 How to use Google AdSense Ads on Responsive Websites. If you been using Google AdSense Ads on your responsive website, you may have noticed that, unlike your content, the Google ads have a fixed width and they will not shrink or expand based on the device size. For instance, if you are using the standard 728×90 unit on your website, the ad unit may extend well beyond the screen if someone visits your website on a (320 pixels wide) mobile phone or one of the lower resolution tablets. Internally, it is the window.innerWidth property that is doing all the magic. This property contains the width (in pixels) of the user’s browser window and once you know that value, you can accordingly serve the larger or smaller AdSense ad units. Extract zip file into this path: – /wp-content/themes/ directory. 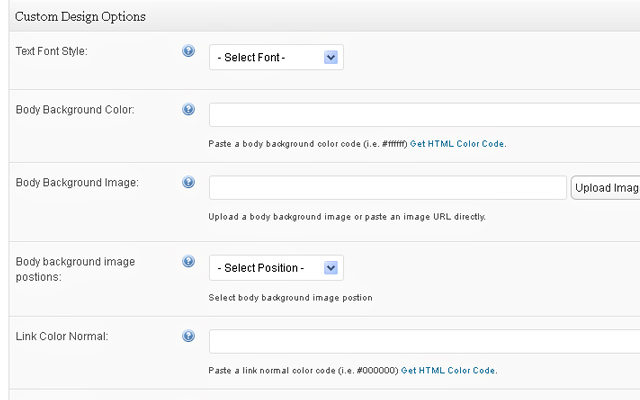 You can manage theme options from ClassiPress → CNC Options. All files are updated in this version. I must point it out, however, that Ecommerce N Classipress is perfectly engineered. It has unique layout. My only problem is I cannot get the actual green colour like. Not compatible with Dynamic Multi-Level Fields plugin? It seems the theme is not compatible with Dynamic Multi-Level Fields plugin, Can you check into this please? I bought your theme already. 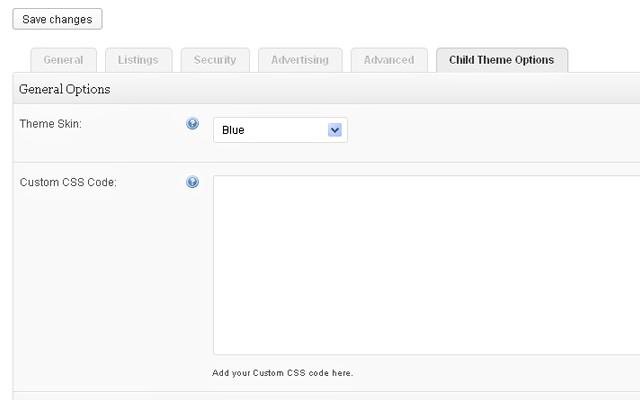 When is your child themes compatable with the newest ClassiPress 3.3 theme? Not having compatibility with ClassiPress’s new 3.3 version forces me to look at other child themes to meet my needs. This lack of compatibility does not meet your needs from a business perspective. Are you working on this issue currently? 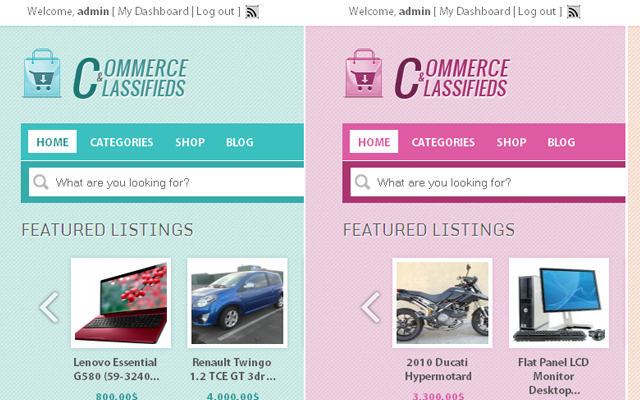 We have submitted updated Commerce & Classifieds version 1.1 for Compatible with ClassiPress 3.3 on Marketplace but waiting for Appthemes confirmation. It will available when they upload it. Would be possible to use the payment gateway of the Woocomerce to pay the Classified Ads? Or the ads payment only can do it by the Classipress payment methods? Is it possible to have just woocommerce with each user having a store? Or must it be with classipress? and in the admin section is it possible to have different shops and their items listed to avoid confusion if one is working with 20 different partners. Hi there, any plans for just the basic responsive wooCommerce pages to work with Vantage? I am just looking for basic integration – nothing too fancy – just something to get the wooCommerce pages to work and be responsive when used with the default vantage theme. I have posted here: http://forums.appthemes.com/vantage-general-discussion/vantage-basic-woocommerce-theme-support-56816/ anything in the pipeline we could use maybe – willing to certainly pay for this if it were well supported and available for vantage. As I say not a whole new look and feel child theme – just a vantage default theme child them to make the wooCommerce work and be responsive? Look forward to a reply. I am also very interested in a woocommerce/Vantage combo. 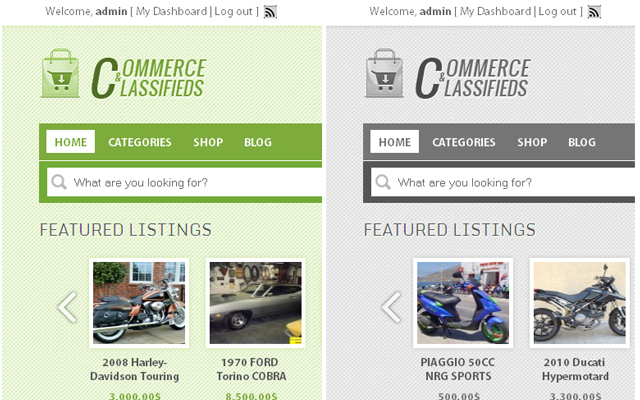 For Commerce & Classifieds can you show classipress ads from a category in a woocommerce Tab in the shop section ? 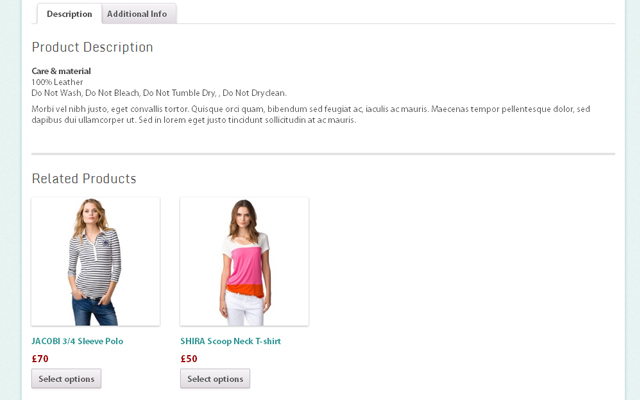 So like woocommerce product Tab shows related ads (which are from the classipress side). If no would you look at quoting for customisation to do this ? Sorry for delay in reply because i have some issue with my email hosting so i can’t get email notification. Please can you explain what you want to say exactly. I am not getting you. I also emailed you direct to the address given on your website twice and through the form on your website twice. 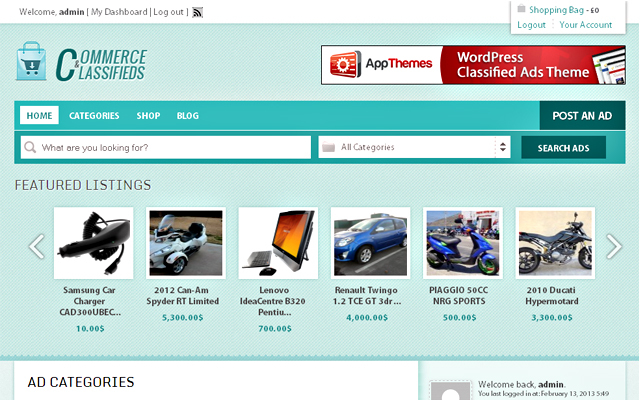 the question was – Can you show classipress ads in the woocommerce product Tab like you would a related ads section. hi I want to ask about the shop. can anyone who is member in my site to make shop with this theme so I can charge him? thank you. Is it possible to use a specific theme inside woocommerce. Can you suggest any plugin that does the same work as a theme? I want to change the layout of the store but it seems I can not use another theme. Hi, the user can publish an ad listing and pay it with woocommerce? If i was a sole user, who only has one item for sale. Can i use the shop option so i receive payment through the website?. It was problem with my email hosting service i never receive any emails of notification that time so sorry for that. So answer of your question is you can’t sell your classipress item through your site. I have another child theme Dealpress you can sell your item on your site. 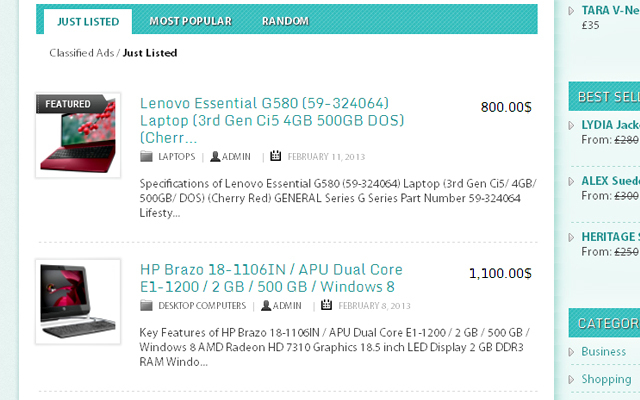 So i plan to sell electrical items with an option for visitors to buy the item, the better theme to use is Dealpress..? 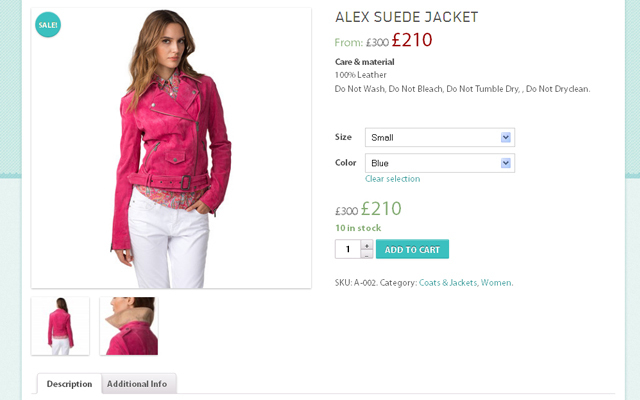 Yes You can use DealPress to sell any items online through your site. what are the credentials for the admin demo please? The price is getting cut off on the right when viewed through my Android Smart Phone. It’s cutting off the pennies. Also, the demo featured slider is showing one and a half featured listings instead of just one. PS the cut off price is only cut off in the single ad view. would be nice for updates . Have you face any issue with latest version of CP and WP ? Will this child theme work with woocommerce subscriptions and woocommerce memberships?? ?